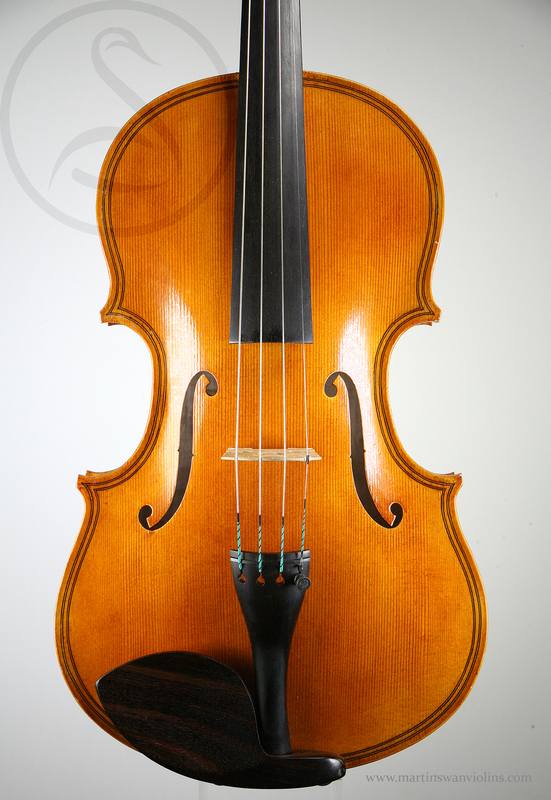 This is a very well conceived Da Salo model viola which squeezes every last bit of sound out of a 390mm back length. 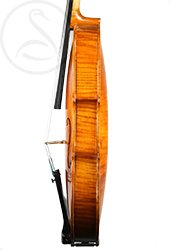 The ribs are deep, the arching full (particularly the back arching), and the f-holes long and free. The wood is great – a broad and even-grained table and some gorgeous smoky maple for the back. 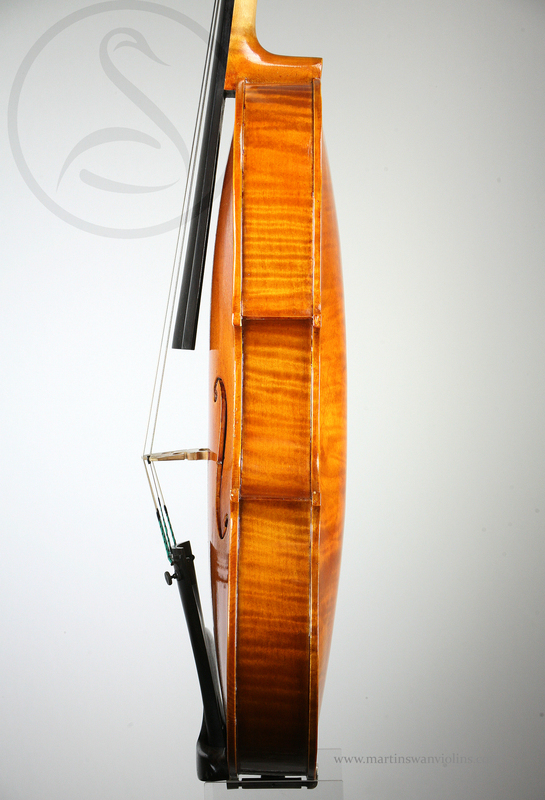 The varnish is one of the nicest I’ve seen on a modern instrument, with great texture and reflectiveness. The condition is outstanding – just a few minor chips to the varnish on the right of the table, otherwise as new. 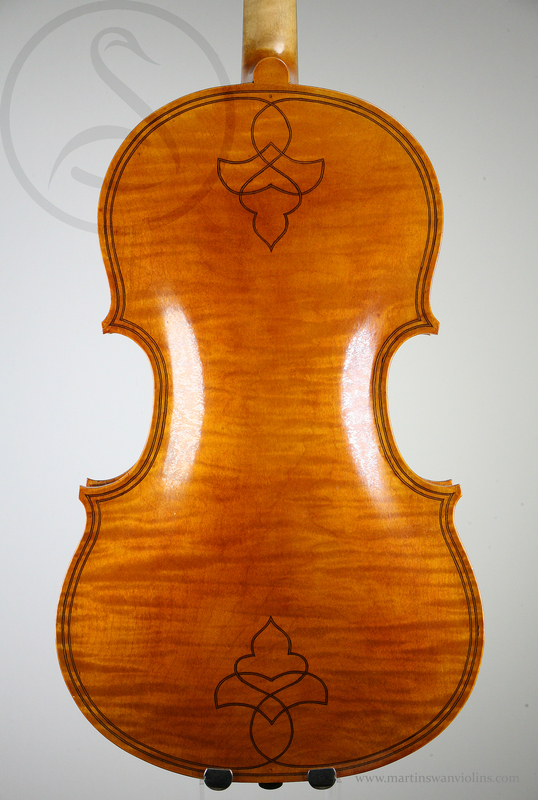 What a great viola … it has completely confounded my expectations! 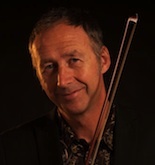 Smooth, rich and chocolatey, with a great C string – quite cello-like in character, with a really solid cushion to the sound, but also airy and articulate. 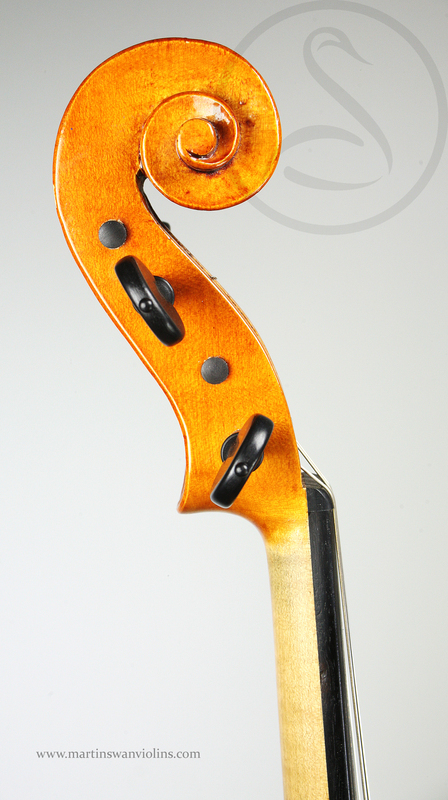 Very easy to play, perfectly balanced and musical throughout the register, and always with a complex, reedy tone. 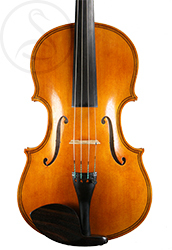 Few makers produce successful small violas, but this one is a stand-out – I think most players would choose it over a good Betts in a blind shoot-out, and that’s high praise indeed. 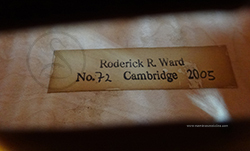 Interested in this Rod Ward Viola? 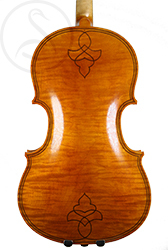 Look at our other violas.